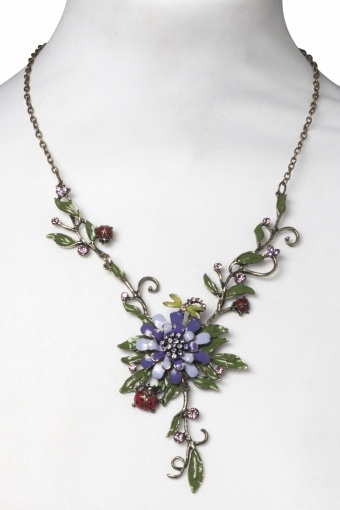 Springtale lovely Flowers & Lady Bug necklace. 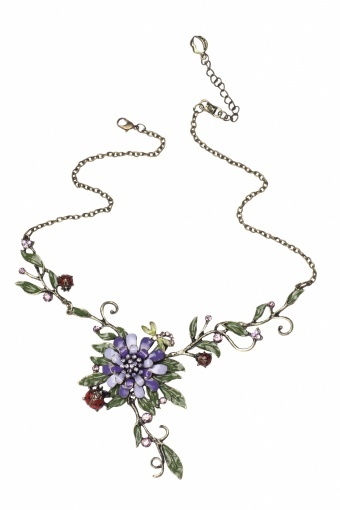 This fairy pretty necklace works spring magic on your neck! 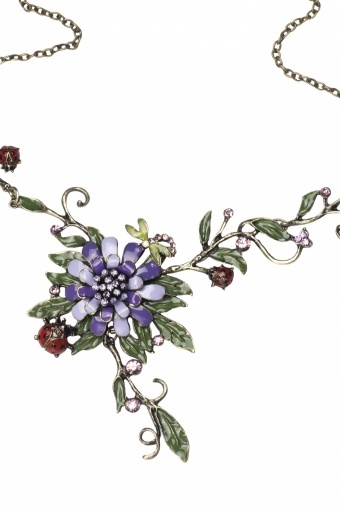 Gracefully designed branches with leaves, flower, ladybugs and a dragonfly which are beautifully enameled in fresh colours. Richly decorated with rhinestones for that luxurious touch. 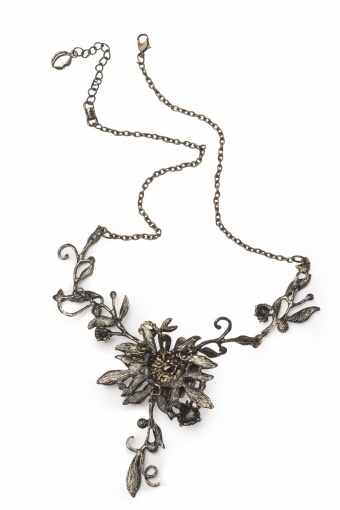 The branches consist of five movable pieces, which allow the necklace to sit on your skin perfectly.